Steve J. Whiteley the Bogan Prince of Comedy. 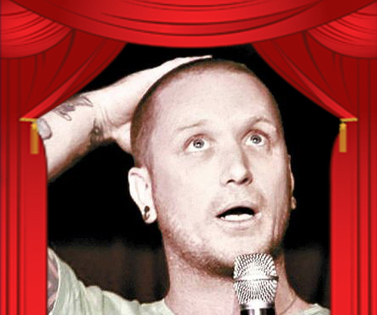 With his own cult following in the Gong, he has been performing stand-up comedy for over 10 years. He’s traveled to every corner of the country, and performed at nearly every major festival Australia has to offer. Steve has shared the stage with Lano & Woodley, Paul McDermott, Fiona O’Laughlin, Scared Weird Little Guys, and Steven K Amos. TIX ONLINE $15 / $20 door. 10% discount Platform61 for online bookings.